Last summer and this winter Priscilla visited India and brought back wonderful sari fabrics -- two layers that are sewn together with rows of hand stitching. 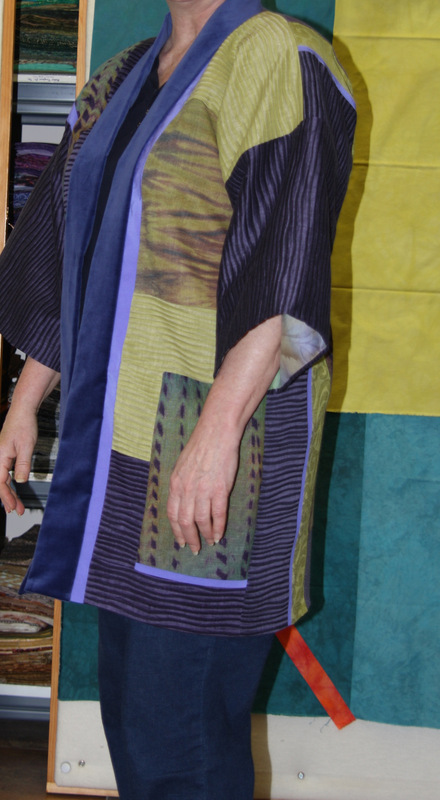 Priscilla selected one to make a jacket from for herself, and started by adding some colorful fabric strips. I forgot to take a picture of my fabrics before I started, but found a woven black fabric in my stash of fabrics from Priscilla's other trips, along with a couple of thin green and red strips, to use with my sari fabric. The jacket isn't lined, but needed shoulder pads, which Priscilla pinned into place. The front band is a soft black corduroy fabric. But these aren't just any scraps! 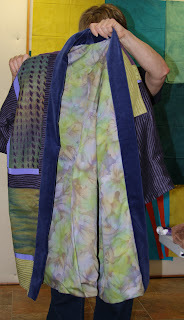 These are special dyed silk fabric scraps done by Doshi and gifted from friend Marcia Murphy's stash. The first task was to decide which pieces to use. On the right is the back of the jacket, and the beginnings of the front panels are on the left. With Prisiclla's construction advice/assistance and a piece of her pretty blue velvateen for the band, the jacket is completed. The stash in the closet just happened to have the perfect color-coordinated fabric for the lining. Now we just need a special event to wear it to!! Priscilla returned from a weekend quilt retreat with the Tompkins County Quilt Guild where she had put together this beautiful top that she made using Kaffe Fassett fabrics . She plans to add some lime green and purple borders so the final quilt top will be a bit larger. Priscilla is also making great progress on the background for her leaf composition and in adding definition to the leaves. Beth has progressed to the sewing phase on her lions quilt . Here's her pattern with the first couple of sections filled in. This is the start of my newest quilt, that is now quilted, faced, and just waiting for a sleeve and label. I don't have pictures of the squares at that point, but the next step was to stack and slice through the squares, and then shuffle and reassemble all the pieces. The squares were then stacked and the slice - shuffle - and reassemble process was repeated. 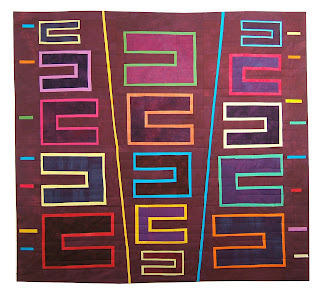 With four sewn-together squares on the design wall, it was fun to rotate them and study the design possibilities. 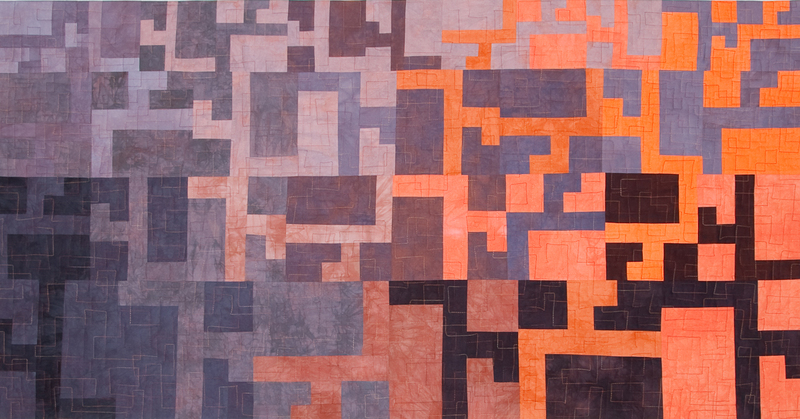 Here's the final composition after being quilted on the long-arm machine. "Whirlpool" is 70" high X 73" wide. Nancy, Priscilla, Bev and Jeanne are checking out the start of some new work that Pat brought in. Pat also showed us some new surface design work that she's been doing. Bev showed us her current composition that she has pin basted and has made a start on the quilting. Suki is very happy that we now have a flat screen TV in the studio, since it gives her access to perch on the cable box -- where it's warm and she's partially hidden behind the TV. Priscilla, Beth, and Jeanne ventured to the studio on Sunday for some serious sewing time. 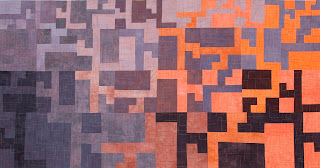 Jeanne worked on the piece on the far design wall, inspired by a fence in a park near her home. Priscilla is working on the psychedelic side of her leaf composition. The green/brown fabrics on the wall and cutting table are destined for Beth's "lions" composition. 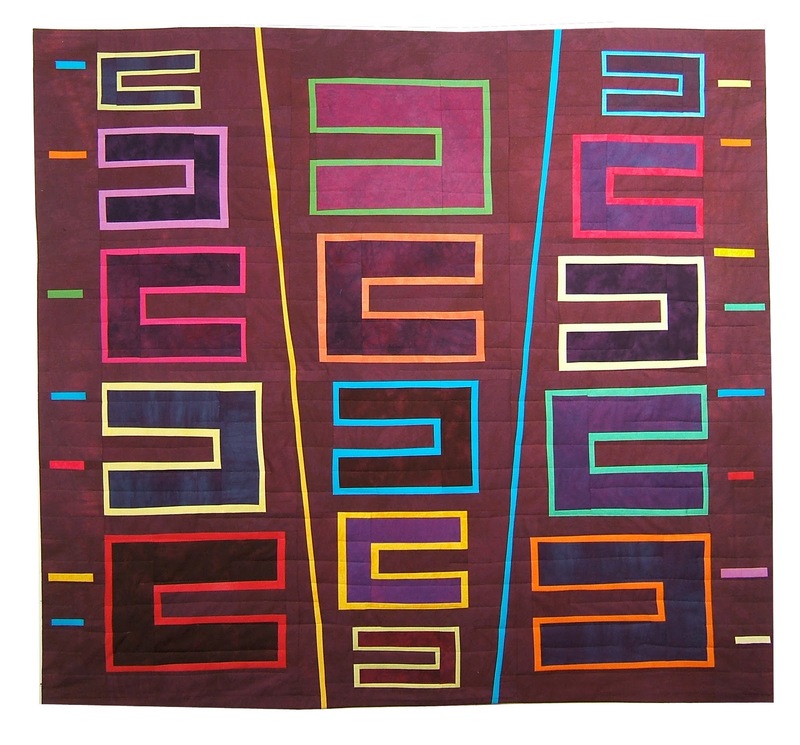 Jeanne has the start of a composition with a nine-patch format uisng some of her discharged fabrics. Her beautiful blue shibori-dyed piece is being considered for another composition. Jeanne also showed us some commercial fabrics that were made with some wonderful gradations. 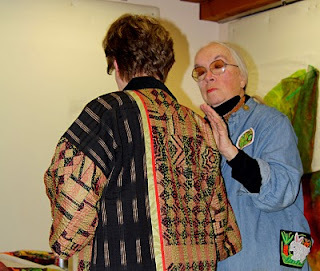 Priscilla Kibbee was the featured speaker at the March meeting of the Genesee Valley Quilt Club, and she presented a wonderful show of just a few of the many fantastic jackets and other garments she has made. These five outfits are some of the garments Priscilla made for competition in the Bernina and Fairfield Fashion Shows. Priscilla travels all over the world, collecting textiles and embellishments during her trips, many of which are included in her garments. 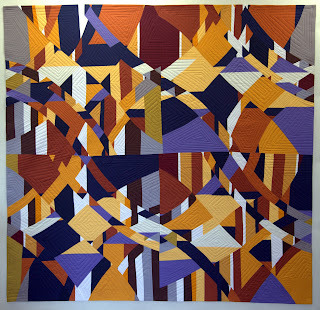 is one of 58 quilts selected from 432 entries for Fantastic Fibers 2011 exhibit at the Yeiser Art Center in Paducah, KY. The show opens April 2nd and will run through April 30th. 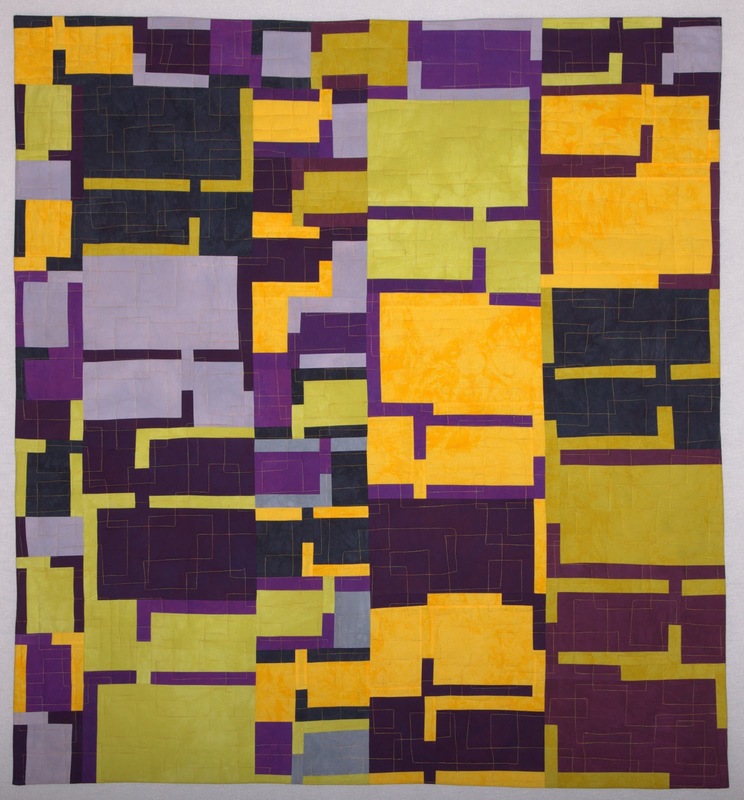 Yellow Brick Road (2009 54h X 50w) was selected for the 2011 AQS Quilt Show and Contest in Paducah. 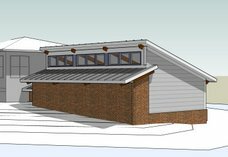 The exhibit will be held April 27 - 30 at the Paducah Expo Center. 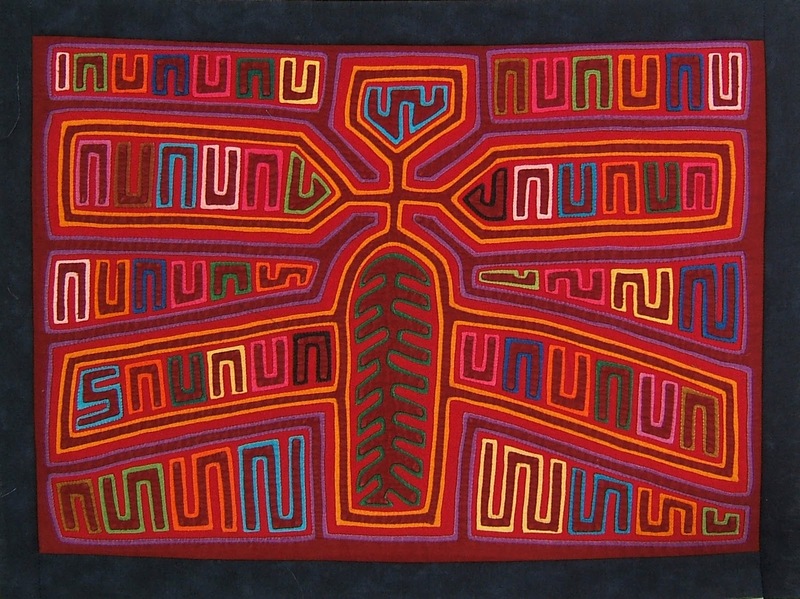 Mola Wings (2009 64h X 58w) was also selected for the AQS Quilt Show. 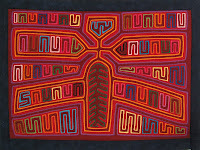 It was inspired by the dragonfly mola shown below that Priscilla brought back from the San Blas Islands of Panama. Priscilla is checking her pattern for her latest quilt project on leaves, and Beth is starting the background for her newest quilt on lions. Priscilla is making great progress on building the colorful side of her quilt, and Beth created some background fabric from her greens and browns. Suki had been "hiding" on Priscilla's chair, but decided to check out where everyone was going at the end of the day. Beth spread out her pattern for her Lions quilt so she could continue marking it, and as you can see, Suki was being very helpful in holding it in place. Priscilla continued work on her leaves. 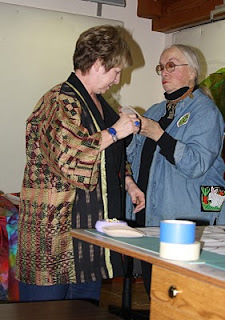 And Nancy Crouch joined us and was getting some advice on adding shoulder pads to her lovely jacket. Nancy made this jacket last fall, and it was included in Wearable Art in Upstate NY exhibit that Priscilla and I curated for the Pennsylvania National Quilt Show in October.